This is a tangy new color in my Etsy jewelry supplies shop. 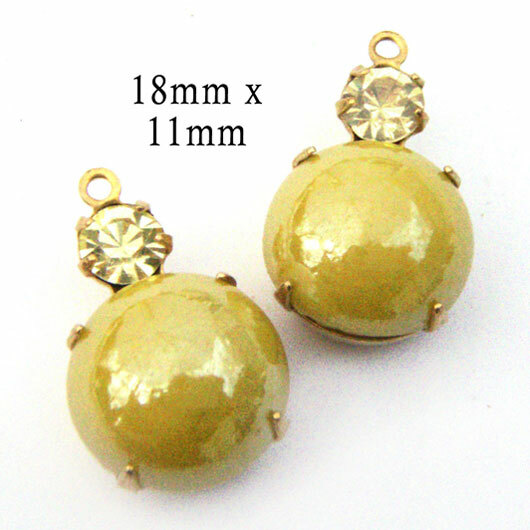 Theses multi-stone glass beads are a fun combination of opaque lemon lime cabochon and pale jonquil sparkling rhinestone. They make wonderful earrings or pendants – and with this color, they feel like spring to me. Right about now (20 degrees outside) that sounds pretty good! And then of course, if you’re thinking about Spring, then with your pretty spring dress (see my post here) you’re going to need some pretty accessories. And (just this once) I’m not even talking about jewelry. Are those not adorable? They’re available at BigBangZero Vintage Shop on Etsy and she has lots of wonderful goodies that will charm you and make you happy. Go sneak a peek, you will thank me! Like I said – slip on your pretty spring dress, grab a shawl or jacket, slip into these wondiferous sandals, and go meet your girlfriend. Or boyfriend. Or both. P.S. And did I mention the Art Deco red glass-beaded fringe bag or the Black Italian leather granny boots she has in her shop right now? Honestly. Go peek! 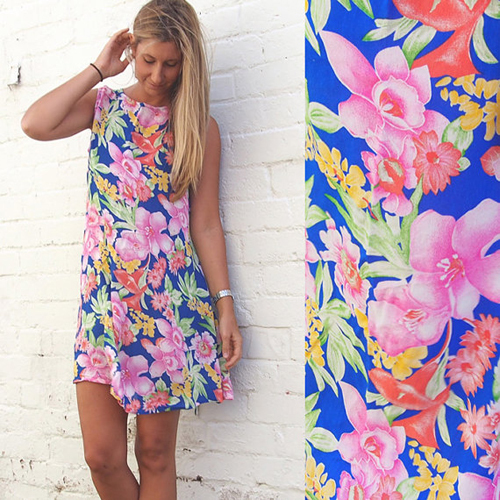 A spring dress – vintage of course! And it’s got me searching for spring clothes – that don’t cost a fortune, that look comfy and pretty and full of color and life, and this just suits, yknow? Doesn’t that pic – that dress – make you want to grab a scarf, maybe a lightweight cardigan, and head outside for lunch? 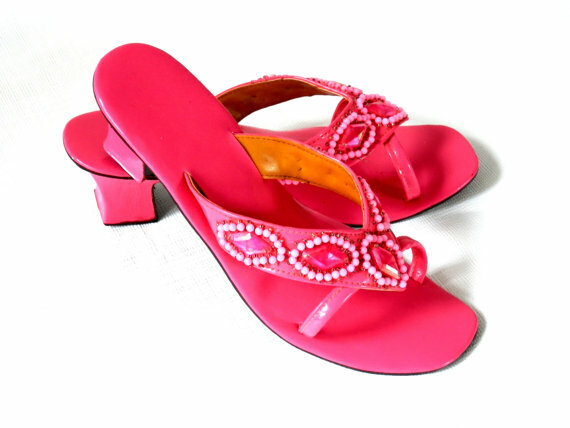 Warm sunshine, pretty sandals, and maybe leave work early to meet, well, somebody special. We can dream, can’t we? And meanwhile, this pretty dress is full of flowers and color and it makes me feel good. It’s available from PomoloVintage on Etsy and Jolene, the owner, has lots of pretties for you to admire. Go peek – you’ll thank me!